OMAHA—A senior State Department arms negotiator said Thursday that Russian opposition to holding a new round of arms control talks does not mean a second strategic arms pact is out of reach. Rose Gottemoeller, acting undersecretary of state for arms control and international security, also said that a State Department advisory board will report soon on whether U.S. nuclear forces can be cut very sharply and eventually be eliminated. Gottemoeller said her predecessor, Ellen Tauscher, asked the State Department International Security Advisory Board to see how the United States could shift from "mutually assured destruction to mutually assured stability." The board is examining whether the United States can maintain security with "very low numbers of nuclear weapons" and move toward "the eventual elimination of nuclear weapons." President Obama in a speech in Prague three years ago called for the eventual elimination of all nuclear weapons. Military and defense officials have noted that the president also said the United States would need to keep its current nuclear forces as long as other states have nuclear arms. The current nuclear arsenal contains some 5,000 weapons and is being cut under the 2010 U.S.-Russia New START treaty to 1,550 warheads. The Pentagon also has produced an assessment of whether U.S. nuclear warhead levels could be cut to as low as 300 warheads as part of the Nuclear Posture Review (NPR) Implementation Study. Defense officials said the controversial study that considered warhead levels between 1,500 and 300 has not yet been completed so that it does not become a target for political debate in the current presidential election campaign. Gottemoeller said the NPR study would be used as the basis for further strategic arms negotiations with the Russians. On Wednesday, Air Force Gen. C. Robert Kehler, commander of the U.S. Strategic Command, told reporters that the current force of 1,500 nuclear warheads projected under the New START treaty is the right force for providing deterrence of nuclear adversaries. Gottemoeller, speaking at a U.S. Strategic Command conference on nuclear deterrence, compared the current period of Russian intransigence on arms talks with the United States to a similar period from 2006 to 2008 when Moscow shunned arms negotiations. The Obama administration is "thinking about next steps" in deterrence, stability, and arms control, and doing what Gottemoeller said was "homework" for future negotiations. "We are looking at fundamentals and lessons learned as we work to develop new policies to advance our security," she said. Asked if a follow-on agreement with Russia to the 2010 New START treaty will be presented to the Senate for ratification or made an executive agreement, Gottemoeller did not answer directly. House legislation currently pending before Congress includes language that limits future strategic arms talks by requiring that they produce a treaty that can be ratified under the Senate’s treaty power. The legislation was passed amid concerns that the Obama administration, should the president be reelected, will seek to conclude an executive agreement with Russia on a future arms treaty that would not require the difficult Senate ratification process. A follow-on agreement with Russia will seek to cut tactical or battlefield nuclear weapons, as well as strategic nuclear weapons, both deployed and non-deployed, Gottemoeller said. Russia so far has not engaged in formal negotiations but the administration has held "a very solid series of strategic stability talks" with Moscow officials. The talks are "really beginning to lay the ground work for the next stage of nuclear reduction negotiations." "But in terms of exactly where we’ll be going and what we will be doing in terms of further reductions, it depends a lot, I think, on both the work that we’re doing in house, our homework that is still in train as I mentioned; and what we are able to establish with the Russians as a groundwork for further negotiations," Gottemoeller said. 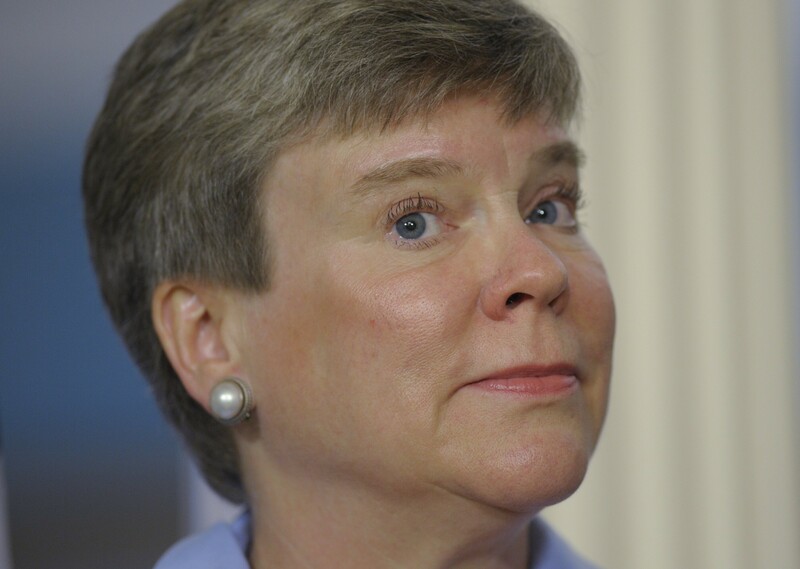 Gottemoeller said critics have been asking, "What’s going on? The Russians don’t seem very interested" in arms control. "I don’t particularly concern myself with the environment as it is at the present time," she said. "We’ll see what happens in 2013." Russia has taken a hard line toward the United States in recent months based on Moscow’s opposition to U.S. plans to develop missile defenses in Europe. Moscow believes the defenses will be used to target Russian ICBMs. The Obama administration insists the missile defenses are designed to counter Iran’s missiles. In toughening its posture toward the Untied States, a Russian general recently threatened to take preemptive military action against U.S. and allied missile defenses in Europe. Russian strategic nuclear bombers also were detected flying close to Alaska and California in June and July in what some officials said appeared to be strategic messaging by Moscow. Gottemoeller also said the Obama administration, in addition to exploring new ideas for deterrence and arms control, is committed to reducing the role of nuclear arms in U.S. national security strategy. "We are not developing new nuclear weapons or pursuing new nuclear missions," she said. By contrast, both Russia and China are engaged in significant nuclear arms modernization programs that include new warheads and new delivery systems, including missiles and bombers. This entry was posted in National Security and tagged 2010 New START Treaty, Air Force, China, Nuclear Weapons, Russia, State Department. Bookmark the permalink.